Dr. Cameron was the instigator, inspiration, first developer, inventor and driving force behind the The Cameron Method and the CompuMind Software based on it. He lived his life with passion and commitment to the betterment of mankind. With his colleague and wife Sharon, Clark served as a personal and success counselor, speaker, and seminar leader for over the last 25 years while developing and clinically refining The Cameron Method and its CompuMind software application. The pair also professionally trained stress therapists and success coaches in the system they developed.. Previously, he served as a research consultant to top corporations as well as U.S. presidents. He gained recognition for pioneering contributions in the successful introduction of new products; in the psychology of innovation; in corporate image and financial image studies; in appraising the impact of the space age on industry and education; and in the policy of limited war in U.S. foreign policy. He also pioneered research on the therapeutic and recreational potentials of the space environment. He did pioneering research on the effects of gravity on sleep needs, as well as on healing of burns. He also investigated learning potential. In 1962, he developed what he named Aquarest, a tank to sleep in saline solution effectively removing the user from stresses of gravity. While operating at a full schedule of work, and was able reduce his own sleep needs to a low of 2 hours a night. On average, sleep needs were shown to be reduced by half (from 8 hours to 4 hours.) Margaret Meade was one who came and experienced it at his lab at Princeton. The tank appeared on the Johnny Carson show where Carson tried it out. 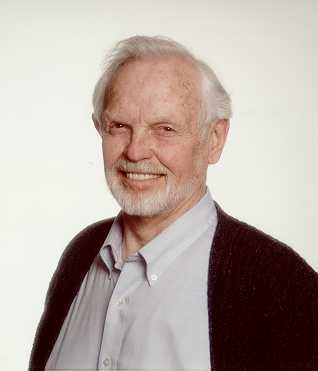 His work was referenced by futurist author Robert Prehoda in 1967 in his book Designing the Future, under the Potential of Sleep Research, p. 194. Clark originated the concept of the water bed during this early research. Dr. Cameron’s genius also played out with his lifetime love of the ocean. He was founder of the American Cetacean Society, and organized and instigated the Whale Watch at that time. He led the first voyage to successfully implant a tracking device into a pelagic whale (finding himself in trouble with the Navy from it at the time). He also played a leading role in the establishment and operations of the Oceanic Society. In the late 60s, Clark had his own television news and commentary show and special public education shows on both TV and radio (at the time, he was the researcher, writer and the entire news department for the station). He was author and editor of various books and other publications on national and foreign affairs and professional subjects. In 1974, he developed a system of baby gymnastics training his son Nate from five days old, increasing stamina and creating great bonding between the two of them. The pictures for the potential book showing him swinging the child in a big circle, held by one arm or leg, was enough to frighten publishers with the prospect of lawsuits from parents who might try it. Clark had a brilliant mind and was trained in five languages including Russian and Arabic. He was expert in almost any area from history to languages. Trained in Naval Intelligence to be an expert on the Middle East, he suffered greatly during the McCarthy era by being accused of being a communist sympathizer. This kept him from serving the country that his entire life till that time prepared him for. After years of intense stress, he found his final life work in creating a way for himself and others to change their perception and experience of life with The Cameron Method. Clark Tinch Cameron received his B.S., E.E. from the U.S. Naval Academy; his M.A. from Johns Hopkins University's School of Advanced International Studies; his Ph.D. (Social Psychology) from the University of Paris (Sorbonne), and completed two years of postdoctoral studies at Princeton University. He is greatly missed, yet lives on through his achievements benefitting mankind with The Cameron Method.